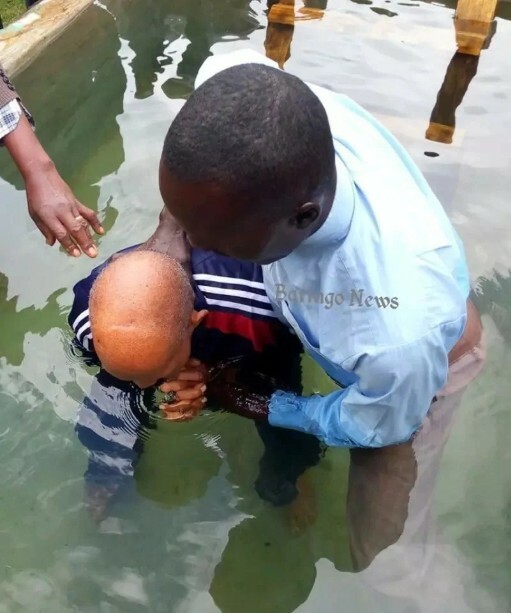 A 94-year-old man from Baringo County in Kenya, identified as William Chesang alias Dr Kahawa who disclosed that it has always been his childhood dream to undergo the Christian ritual of baptism, got his wish on Friday, July 5, as he was baptized with 5,000 litres of boiled water. 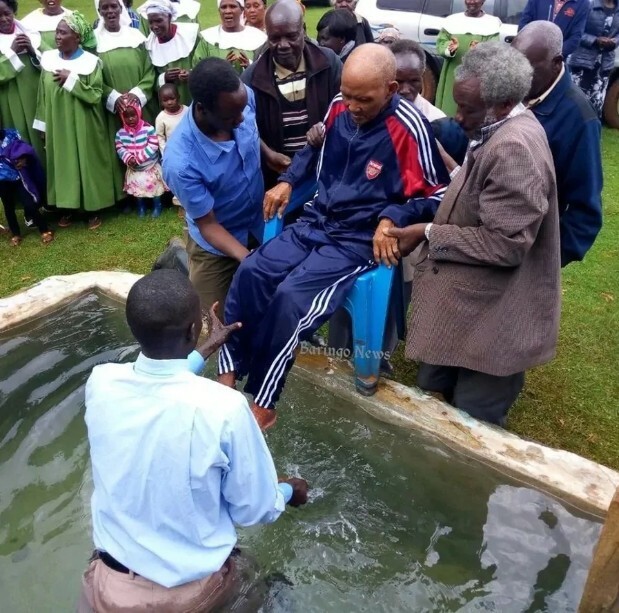 The peculiar baptism for the nonagenarian was conducted by Ossen AIC church, and in photos shared, Chesang could be seen seated calmly beside the pool as he awaited for the water to get warm so that he could finally be baptized. According to Reverend Elijah Katya who presided over the baptism, they were forced to heat the water for baptism due to cold weather and the age of the frail old man, and it took them at least two hours to boil the more than 5,000 liters of water using firewood and electric heaters. It was a spectacular moment as the elderly man’s face lit with joy as he received a new name, William, after the baptism process was over. Chesang’s daughter, Lilian Ruto, expressed happiness that her father was baptized as it was his wish for a long time.